Even during a time of high unemployment, top salespeople are always in demand, and their skills are easily portable from one sales environment to the next. Losing them to a higher bidder or a more lucrative sales opportunity is too easy to be taken lightly. The cost of hiring a new employee for any position is significant, whether an employee is fired or laid off or leaves voluntarily. The many formulas that calculate such costs vary widely, but can range upward of 200 percent of an employee's annual salary. That includes not only the obvious tangible costs of severance pay, vacation accrual, and job advertising and recruiting fees, but also indirect costs such as the staff time needed for paperwork, recruiting, resume reviews and interviews, and then new-hire orientation and training. Other hard to quantify costs can include customer dissatisfaction, poor employee morale and loss of revenue during transitions. Let's assume the average salary in a given company is $50,000 per year. If the cost of turnover is 150 percent of salary, then the cost would be $75,000 per departing employee. For a company of 100 employees with a 10 percent annual rate of turnover, the annual cost of turnover would be an estimated $750,000. Once you realize what it's costing, in both dollars and people assets, you'll want to seriously consider how to reduce your turnover rate. A first step for reducing turnover is understanding your turnover numbers and issues. Start by answering these four questions. What is your year-over-year average turnover rate? Can you tie significant changes in the rate to the workplace's physical environment? What is your turnover rate compared to your competition? Are there times during the year when people leave more frequently? Answering these questions will help you to begin to understand some aspects of turnover within your sales force and you can start to find ways to reduce turnover in your organization. 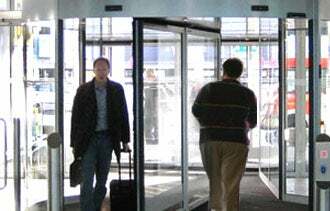 Another important knowledge-gathering step is to conduct exit interviews and ask why your salespeople leave. While it can be difficult to get candid answers -- employees often realize there's nothing to be gained by saying anything negative -- asking exiting employees to rate factors on a scale of 1 to 5 can point to the problems in a more objective and equally productive manner. You can ask them, for example, to rate the level of sales support, management support, fairness of sales goals and fairness of compensation. Design your questions to determine whether you are creating an environment that salespeople can thrive in. If you find those leaving feel that sales quotas are unattainable, that they can't live on their compensation between sales, or that they simply think they can make more money someplace else, you'll have a better understanding of what you can do to change the environment. A great deal of employee turnover can be attributed to mistakes made during the hiring process. The problem lies in the employee selection process. Simply put, when you hire people for the wrong job, they leave. Make attracting high-performers part of your ongoing business practices so you are always "hire ready." Define your hiring criteria, including the job description, so that you hire the right people for the job. Learn how to screen resumes for top performers. Give your hiring managers the skills they need to do the job right. Gather the right kind of data to ensure your candidates have the requisite skills. Create a consistent and thorough interview and selection process. Hire salespeople by looking at three areas: experience, technical skills, and communication skills and problem-solving skills. Too often hiring managers glean valuable insights into employee preferences, strengths and weaknesses during the hiring process and then fail to use the information as a resource to help develop and retain the employee. So rather than focusing exclusively on hiring, you should also begin to think about how to develop sales staff immediately. All that you learn during hiring can be used to continually improve the job-person fit. Creating a development plan for your salespeople helps show them what they can do to grow and develop, to advance, to become more valued, and to be more satisfied in their work. Development plans also point out what kind of support and assistance they will need to get where they are going faster. You and your employee will work on the development plan together, but the more involved the employee is in determining the areas to work on, the more committed that individual will be to accomplishing the goals. The objective is to create an environment that encourages continuing feedback from managers, which will help employees advance more quickly, achieve more, avoid unnecessary problems and setbacks -- and stay with your company.